Recently McKinsey & Company—in partnership with the Grocery Manufacturers Association and Nielsen—published the findings from their 2016 Customer and Channel Management Survey. The survey looked at the best practices that winning CPG companies use to stay on top and identified five key growth factors. I recommend reading their blog article, if not the full report, which you can find by downloading here (PDF). One attribute that all CPG companies inherently share, but that the winners in McKinsey & Company’s survey seem to truly excel at, is collaboration with retailers. Not only are the CPG winners gleaning a greater volume of data from their retailers on a more regular basis, but they’re also more than two and a half times more likely to dedicate staff members full-time to retail collaboration initiatives. Communication and collaboration is the key to any successful relationship, and in this regard the link between CPG manufacturer and retailer is no different. Seventy-five percent of CPG winners share data with their most important retailers on a weekly basis. This is why both retailers and CPG firms continue to invest in solutions like Stibo Systems' Master Data Management solution that improves the flow of relevant data, enables improved collaboration and streamlines the process of adding and maintaining new products. The takeaway here is that winning CPG firms are heavily vested in analytics, big data and advanced revenue growth management techniques. It may seem obvious, but all of these are difficult, if not impossible, to accomplish without a rock-solid organizational data management strategy. A big data initiative can quickly become an “impossibly large data” initiative without the proper infrastructure. Likewise, clean and accurate data is the first step in any analytics undertaking. In general, the survey found that an evidence-based culture of decision making rules the day. CPG winners use data to decide their SKU assortments, which typically involves more products being changed more frequently than their non-winner counterparts. Being able to execute these changes is enhanced by a holistic approach to product data and a PIM or product MDM solution that helps keep internal and external stakeholders in sync, ensuring brand consistency. Back in January, I predicted “Peak Omnichannel,” and the results from this survey seem to agree. McKinsey & Company’s CPG winners are increasingly taking an omnichannel approach to how they view retail and their consumers. One telling stat: within two years, nearly half of the survey respondents indicated they will be co-locating account teams inside of Amazon’s offices. This speaks not only to Amazon’s dominance, but also reiterates the power partnership theme mentioned above. As the worlds of online and offline continue to merge, CPG winners are mining both for rich data to drive growth. They consistently collect and analyze more data from online retailers to understand shopper behavior, and they assign nearly two and a half times more employees to the online channel than their lagging counterparts. Key information about customers and products are foundational elements to any omnichannel strategy, enabling brands and retailers to synchronize and publish accurate, relevant product information to consumers regardless of channel. If you’re reading this blog, it will likely come as no surprise that winning CPG firms are putting a strategic emphasis on collecting, managing and analyzing data. Whether reiterated from a survey like this one, or witnessed in our own experience working with brands and retailers, data management continues to play an increasingly important role in any organizational strategy. 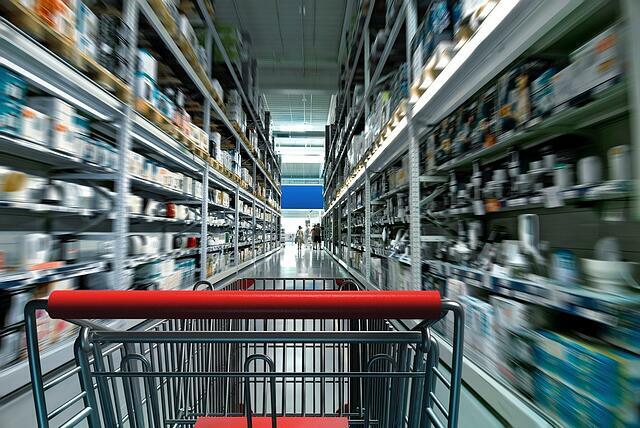 As shopping behavior continues to evolve, driving changes in retail and the way that brands meet consumer demands, Stibo Systems remains committed to working hand-in-hand with CPG brands and retail clients to develop solutions that help them stay winners.